As a 5'2" person, I always struggle to find a long skirts that don't swamp me, or that are ridiculously long and end up dragging along the floor. Come summer it's great to wear short skirts, but sometimes you just don't want to have that much leg on show you know? When I saw this midi skirt on New Look's website, I instantly fell in love, but somewhat warily ordered it as I thought it would still end up being too long. However after trying it on I was pleasantly surprised to find it didn't swamp me! I think this is down to the fact it's high waisted and flows out into the wider skirt. On this day I paired the skirt with a green tshirt but I think a lighter colour would go well too. I wanted a plain top so that the pattern on the skirt would be at the forefront and not be overshadowed because it's SO BEAUTIFUL. I really love the mesh style interwoven with the floral and the pale peach undertones. I think this can be dressed up for the evening, or it can be paired more casually as I have done here. I think it'll also go great with tights, brown boots and a long black sleeved top come the winter. I really enjoyed putting together this post, and I know that I'm never going be viewed as a fashion icon, but I love seeing what other people like to wear and I want to do more of these types of posts as I've just looked and my last outfit post was all the way back in 2015! I'm thinking about making it more 'favourite outfits for the season' or something along those lines; let me know what you think! 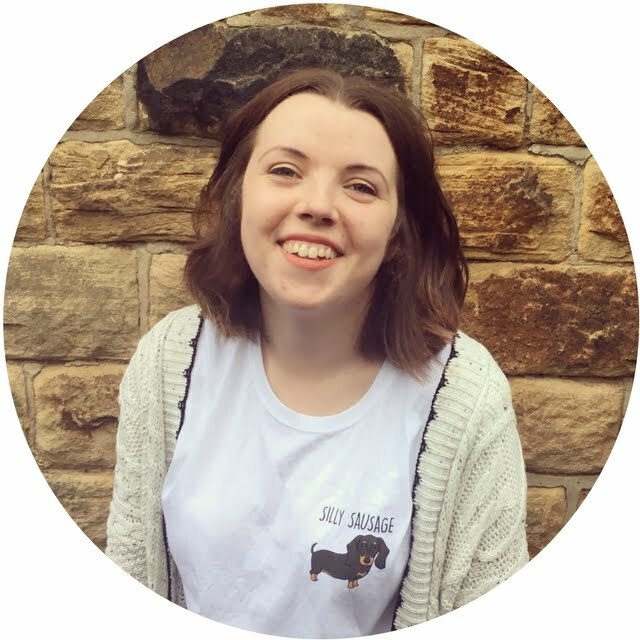 If you're new here (firstly a big welcome, I hope you'll stick around) to give you a bit of background, I studied at The University of Sheffield and left with a BA (Hons) in English Literature last year. I absolutely loved my time at uni and I wasn't sure how I would transition into the 'working world'. Tom and I moved out of our shared student house into a 'proper' house and Tilly made the transition from my parents house to move up north. I'll be honest, as SO much changed all at once, I did find it quite hard and suffered with a bout of situational anxiety for a while as I started to settle in and get used to a completely whole new way of life. This isn't really something I've ever addressed on here, but I wanted to make the point from the start that the transition from student life to, well the rest of your life, is a really hard one and one that takes some time to get used to. Hold up. HOLD UP. How is it July already? Where is the year going? As we've reached the end of June (and nearly the middle of July?!) it's about time I gave you a run down of the month. 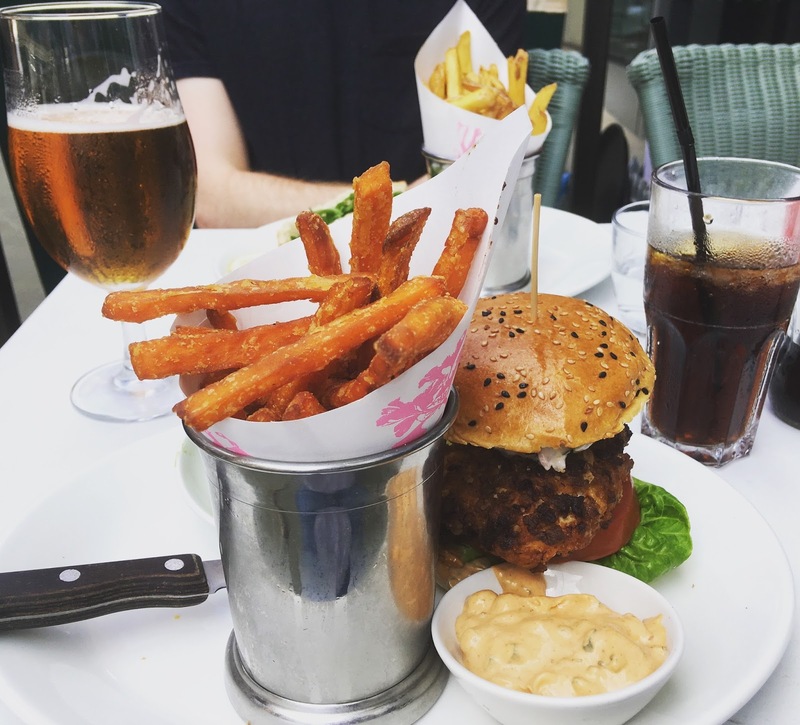 Go pop the kettle on, make your beverage of choice, and let's have a catch up! On the first day of the month Tom and I flew out to Majorca for a week's holiday. We stayed in the area of Playa de Muro, and our week was filled with drinking cocktails, being on the beach, and eating A LOT of food. It feels like such a long time ago now and it was depressing returning to the rainy UK! For more photos check out <<this post>>. We returned back to Sheffield (we had gone back to Suffolk before our holiday and Tilly had a holiday at my parents whilst we were away) and back to normality after our holiday! After returning to the rain, we've actually had some really lovely hot weather, and so we've been out enjoying it. We've also had a stint of winning our local pub quiz a few weeks in a row which has meant lots of pizza!!! In the last week of June I went on a team away day, and for the fun half of the day we went to The Art House for a pottery session. 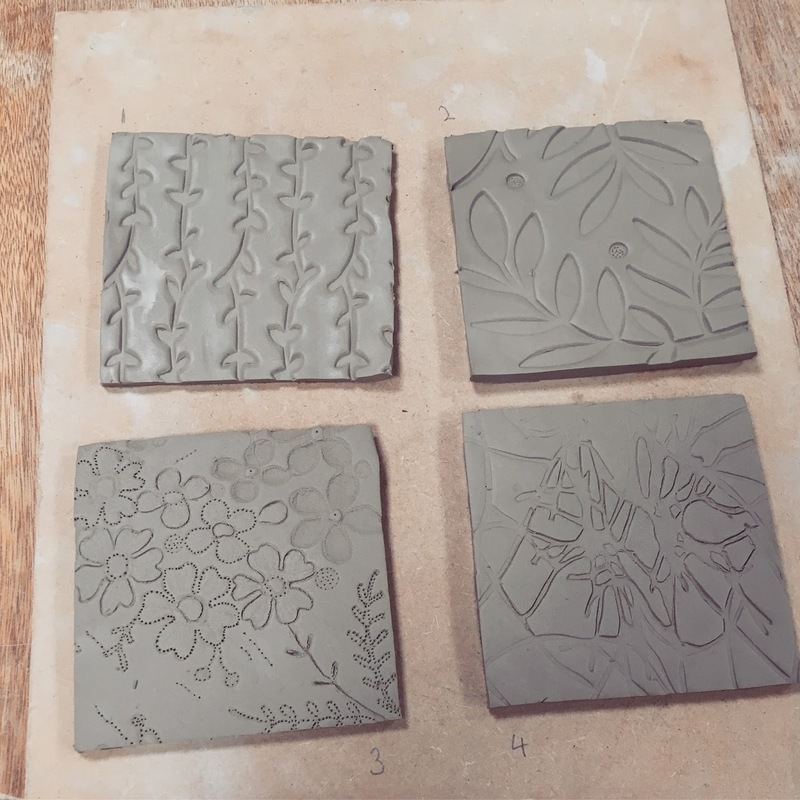 I absolutely LOVED the session - it made me realise how much I miss getting arty - and I can't wait to see what my coasters look like once they've been glazed. I spent the last day of the month out in the peaks near Froggatt helping out with The University of Sheffield's Big Walk. The Big Walk helped to contribute to the Sheffield Scanner campaign, and the aim of the walk was to complete 50 miles in 24 hours!! As this seemed an unfathomable distance for me to walk (some people even ran!) but I still wanted to be a part of it, I volunteered to be a marshall. After an early wake up at 5(!) I went down to the uni to be at the starting line, before going out to the peaks. It was actually the last day of my graduate internship (I'm still staying on at the uni but in a different department) and it was a slightly surreal way to end it! After living in our house for a year, I thought it was about time that we started making our garden look a bit nicer than it did. We don't tend to spend that much time in our garden because it's across a path to our house (we share the path with neighbours) and it's up a slight slope. That being said, I would like to be able to use it more, and as a starting point, Tom and I took a trip to our local garden centre to buy some plants. As a child I would spend as much time outside and in the garden as possible, but I can't say I was ever one who was into the actual gardening side of things. I like looking around gardens and at all the pretty flowers, but I don't have the motivation to be out spending hours digging up beds or having to maintain lots of flowers. As a mid-meeting point between no flowers and an unmanageable amount, I decided to buy a couple of pots for flowers and place these along the brick wall, which can be seen from inside our kitchen and our spare room. I know a tiny bit about different flowers, but as I would have turned up to the garden centre and just bought whatever looked nice without regards to the care instructions, I wanted to go in with a bit of an idea of what I was looking for to know that I would be able to keep them alive! I decided to get a lavender plant and an anemone because they don't require too much looking after, and one of the main reasons I chose these plants was because they're especially good for bees. I knew that whichever plants I bought, I wanted them to be ones that are great for bees, because they need all the help they can get! My mum used to keep bees and I think it's so important to help them in anyway that we can. I'm sure you know, but bees are in a decline and by having plants such as these, we can help to reduce this trend. For a comprehensive list on how you can help bees and which plants are good for them, please visit the Royal Horticultural Society's page on this. 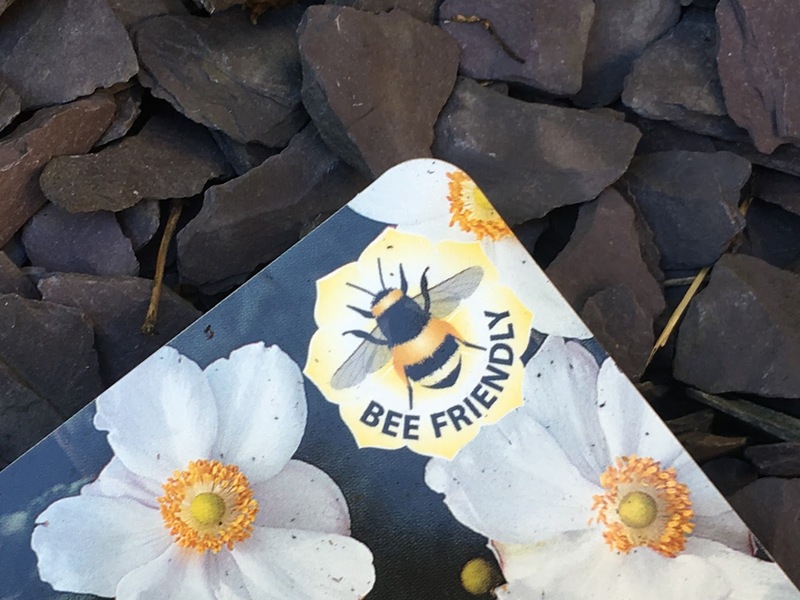 Most garden centres should have a section dedicated to bee friendly plants, or will have a symbol such as that above Also if you ever see a bee on the ground, please don't assume it's dead. 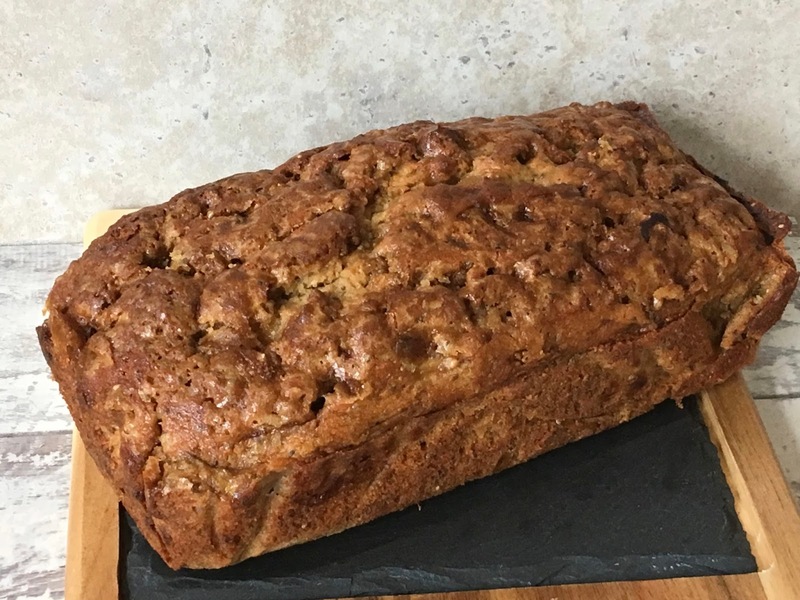 Often they're completely exhausted and just need a pick me up - if you can, take them a spoon full of sugar water and this should rejuvenate them! I'm hoping that by putting these plants in my garden that the bees will start to visit, and I'll definitely be adding some more plants in due course.